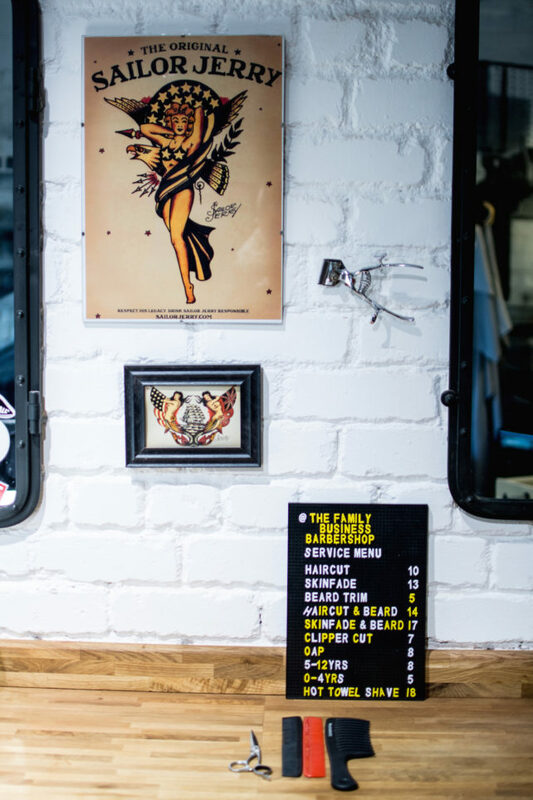 Sarah Brown is one serious inspiring ‘barberella’ of Dundee in Scotland, with the remarkable success of her ridiculously cool, urban inspired barbershop ‘Family Business‘ that she has opened shortly after she graduated from London School of Barbering. She has created a successful, enjoyable and rewarding barber career for herself, and has even combined her other passions into it too. Holding a degree in history and politics, her passions were always much stronger in hair and street fashion. She also had a massive interest in hip hop, street art, graffti, skateboarding and all things urban culture. 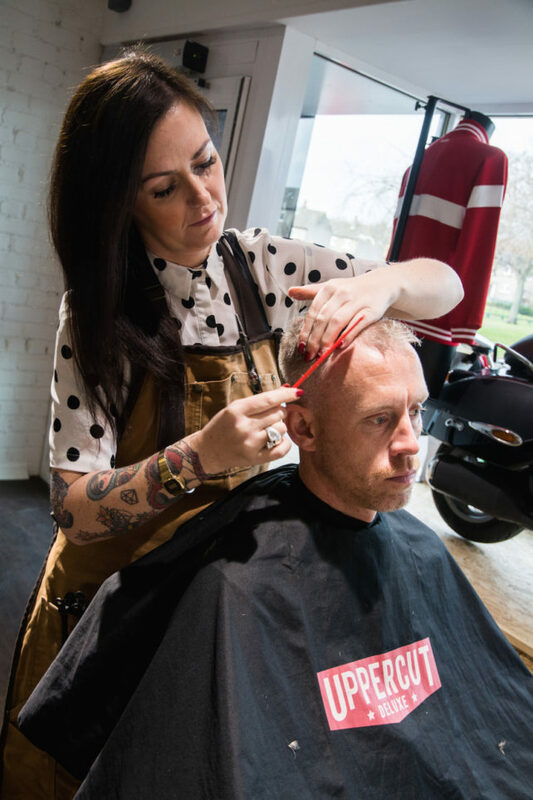 So, it wasn’t long before she experienced a lightbulb moment and could see the connection with barbering and all of her passions. She knew barbering was the path she wanted to take and started doing evening classes with a local barber, but she knew she needed to learn precise techniques from a top barber school, in order to be a master barber. 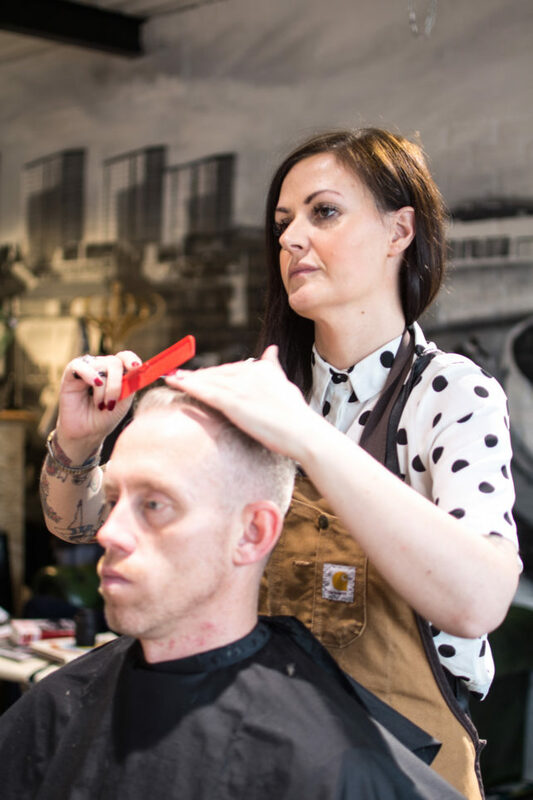 When she discovered London School of Barbering online and seen the positive reviews about our barbering courses, she knew this was the right place for her to build her foundations in barbering. She signed up for our Diploma NVQ 2 beginner course and our Masters NVQ 3 advanced course, as she wanted to build an excellent foundation in barbering and also learn advanced techniques, so she could become a leading barber with expert authority in men’s hair. Sarah is a prime example proving that it is possible to love your job and incorporate your passions in it. Sarah not only dishes out top notch haircuts for her clients, but she also provides a cool place for clients to hang out and chat about anything, even mental health. 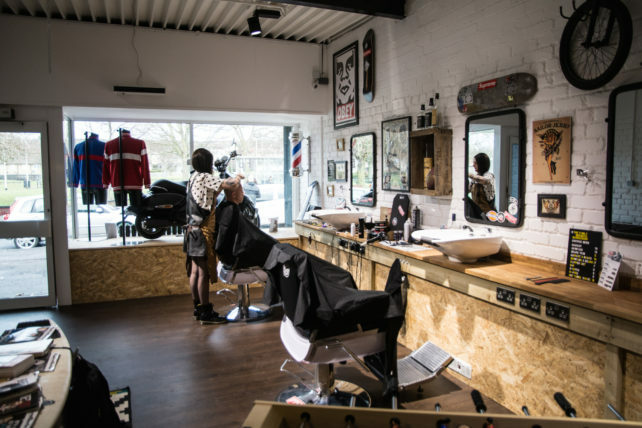 Barbering is an industry that is creative and it allows you to incorporate elements of your personality and interests into your barber brand, especially with social media and the type of barbershop you set up, if you choose to go this route. Read more about her success story in her interview below…. SB: Before barbering, I was at university where I gained a Degree in history and politics. I worked in pubs in the cultural quarter of Dundee. This is where I first started to have an interest in hair, as I looked at it as an art form. I also had a passion for fashion, hip hop, street art/graffiti, skateboarding and all things urban culture really. I feel that barbering fits in with this perfectly and I’m now able to mix my passion that I have always had for hair and street fashion. This is on the rise with huge demands for brands such as Supreme and Palace. Everything in my shop has been designed by me with the help of all local tradesmen. I have a wall which has been hand painted and sprayed by a local artist Gav Guyan, which was copied from a picture in which I own, showing urban culture at its best with high rise buildings and a skateboarder taken by local photographer Jamie Craig. Everything about my shop expresses attention to detail and this is reflected in my service. The shop shows a natural expression of the love of music. SB: I had always wanted to get into barbering and started doing evening classes with a local barber. This is where I feel I learned the fundamentals of barbering, but I didn’t have the techniques to execute certain styles. After a good internet search, I came across the London School of Barbering. I was only going to learn at one of the top barber schools in the country. 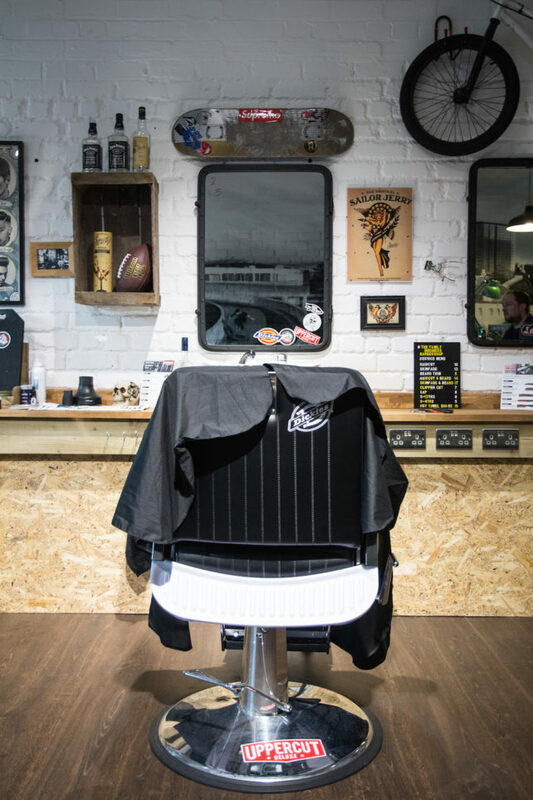 It had amazing reviews and with the barber industry growing at a massive rate, I wanted to be part of LSB. SB: The transition into barbering was made easier, as previously stated I had learned some of the fundamentals of barbering. The tuition was made easier by the relaxed and fun tutors, but also it was taken very seriously, as it was such a fast paced environment at LSB. SB: I did the level 2 NVQ Diploma in barbering for beginners and later on I completed the Masters NVQ 3 advanced course in 2017. The highlights of the course were more than I expected. I trained with a great group of people, who I still class as good friends and some are even going to guest spots at my shop. There was a lot of enthusiasm and passion, from not only the tutors, but the whole environment. We were all finishing each day buzzing looking forward to the next day. SB: So after finishing my beginner’s course at LSB, I have went on and done my level 3 Masters in the same year of 2017. I was never going to open a shop until I had my level 3, as it has always been my dream to go into teaching. 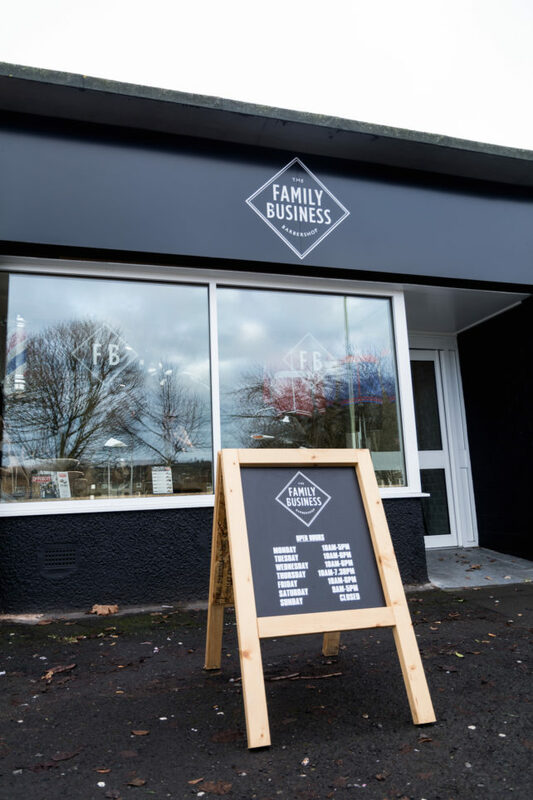 After I finished both courses in 2017, I worked in a few barbershops before opening up my barbershop ‘Family Business’. I always knew I was going to open up my own shop. I have now done this and every day we have top banter in the shop, including me playing on skateboards. But, most importantly giving out great quality haircuts. The shop also has a tattoo studio, which perfectly fits in with barber culture. I don’t think I have met many barbers who don’t have tattoos or a love for them. SB: My proudest moment as a barber has been building my own shop. I wanted to bring Hackney Wick/Brick Lane to Dundee. Dundee has been voted number 4 by the New York Times of places to visit. The Victoria and Albert Museum is under construction at the moment, which is pretty special as it’s the only one outside of London. SB: If I could have anyone in my chair – it would be Cillian Murphy from the series ‘Peaky Binders’. SB: I can’t pin point specific clients as most of them have different stories to tell. Clients always seem to enjoy the experience of the shop and it’s really rewarding for me, as they will openly ask for advice and engage in conversation about mental health. I suffer from mental health and I think this is great, as it’s encouraging people to talk. My ethos is based on the customer experience. I always chat to customers on their lifestyle and taste, so we can tailor their haircut to meet their needs and individual style. 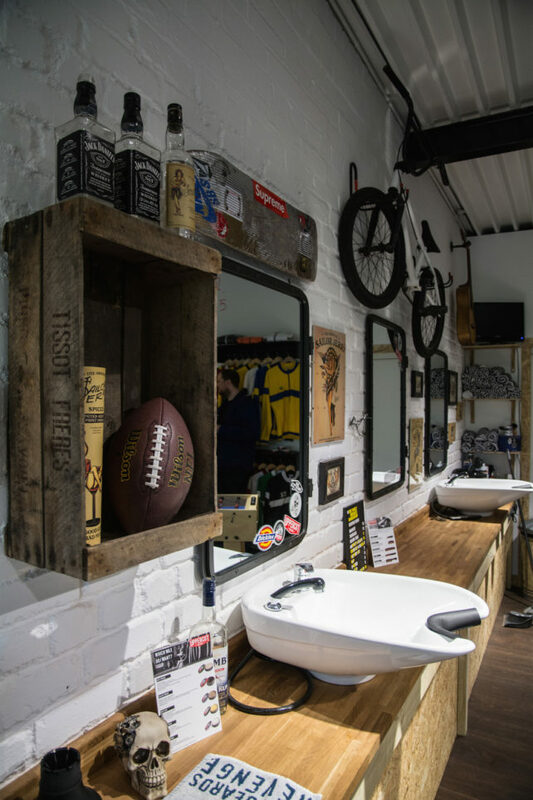 SB: I would highly recommend LSB, as the standard is so high and sets you up for a high standard of barbering. 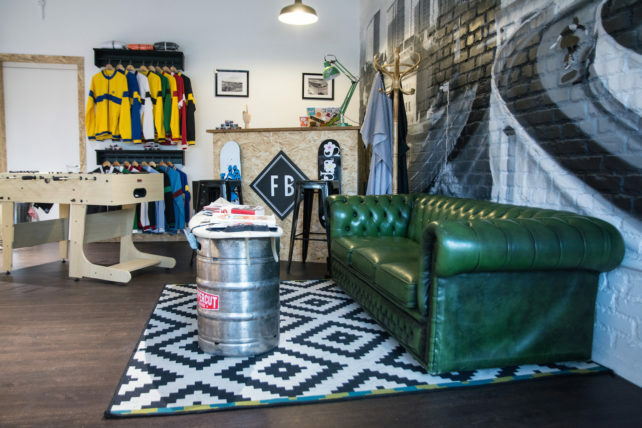 SB: Photo Credit to local photographer Ben Douglas @Burnt Bongo who done a photo-shoot in my shop.